Complete Satisfaction Guaranteed or My Commission Will Be Returned at Closing! 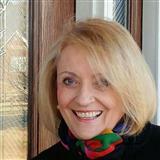 Top Individual Sales Associate for 6 consecutive years at Re/Max Associates, Inc.
"Susan is a true professional. She always ranks the client's best interest as top priority and always tries to exceed the client's expectations. She pays attention to detail when marketing a property and approaches the market strategically." "In the process of purchasing my house, I worked with three different real estate agents for a period of more than three months. I found Susan Pace Mosley in the Real Estate Book and called her purely by chance. It took her two days to show me the right house and three days to complete the sale. Ms. Susan Pace Mosley is a lady out of the extraordinary." - J.Y. "I am happy, but yet I feel a little lost as well, because I have become such friends these past few months that it will seem strange not to call your pager constantly to ask a meaningless question. You have been more than a Realtor to us." - G.B.